My wife and I, our three children and extended family just never get enough of Ski Haven. 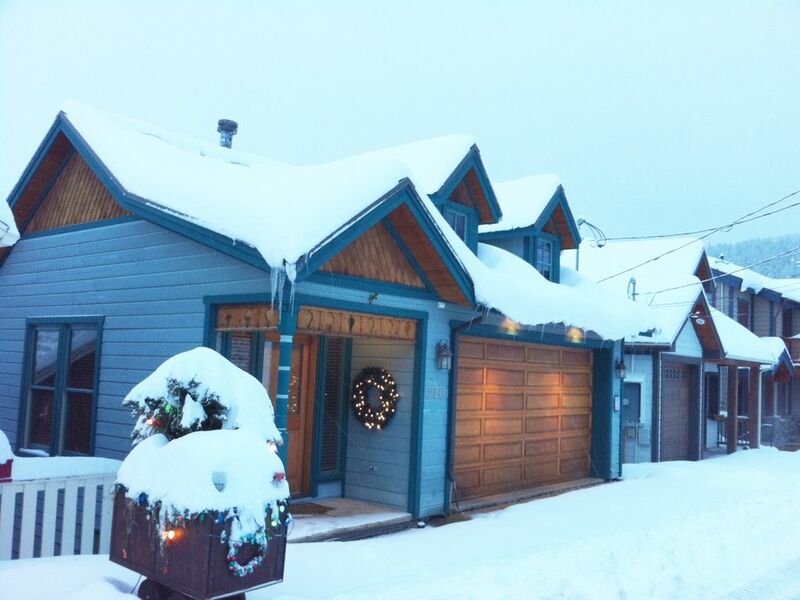 We welcome you to enjoy the year round activities Park City has to offer via the Ski-In Ski-Out luxury of Ski Haven. Convenience - Park City is located just 45 minutes from Salk Lake International Airport. You can take the first flight from any major airport in the contiguous 48 to SLC and be skiing that afternoon. Park City, Utah was founded in 1870 as a mining town, an industry now long gone. The rustic charm, however, remains, and is felt distinctly by residents and visitors alike. First time visitors to Park City, Utah are always impressed with the allure and the beauty of the area. Residents are generally relaxed, engaged, cultured and enjoy outdoor activities. This historic mining town is now world-renowned for skiing and snowboarding. Three major ski areas and the Utah Olympic Parks surround Park City while the stunningly beautiful Wasatch Mountains provide a backdrop for an array of other winter activities as well. Park City is home to some of the world’s finest lodging establishments. Enjoy dining at dozens of acclaimed restaurants, visit the galleries and boutique shops, or enjoy snowmobiling, fishing, snowshoe adventures, bobsled, luge, horseback, or sleigh rides. Park City in the wintertime...there's no place like it! Park City is legendary for it’s annual 400” of “champagne powder” known as “The Greatest Snow On Earth.” Also renowned for the Sundance Film Festival, the largest independent film festival in the world. Winter guests enjoy three world class ski resorts, The Canyons, Park City Mountain Resort and Deer Valley, all within 10 minutes of each other. Main street in “Old Town” is a destination unto it’s own with Old Town being a designated historical district. Park City’s original buildings, from the silver mining days during the 1800’s, dominate Old Town, creating a charm and experience unique to Park City. Park City offers every imaginable outdoor activity both winter and summer and has something for everyone from 5 star luxury to local charm and character. high quality linens await, non of the cheap, scratchy stuff for our guests. Gourmet kitchen with everything you'll need from a quick breakfast to Thanksgiving feast. Private Hot Tub, professionally serviced after each departure. Two Fireplaces (LR and MBR), Home Theater, DVD and Satellite TV (LR and MBR), Awesome Stereo, High-speed wireless internet access ('WiFi') Gourmet Kitchen, Jetted Tub in Baths (MBR and main floor), Steam shower, Heated Garage, the perfect luxury rental home in Park City. Perfectly located, House in excellent condition, clean and as described. We were there for Sundance but are also skiers... perfectly located for both... btw Any question was immediately answered. Lovely property, excellent location; everything we had hoped for! Thanks Jay for a fantastic MLK weekend. We could not have timed it better. Conditions were perfect with 20” of new snow; thank you for letting our two families enjoy your home! Loved watching the super lunar eclipse last night from the hot tub after a fantastic day of powder skiing. Very comfy home away from home. Will be back to stay again. Perfect accommodations for 2 families of 4. Very comfortable and convenient in a quiet neighborhood that’s close to everything. Very clean and well stocked. Highly responsive owner to all questions. Very Nice place/ owner was very nice and accomodating! Would highly reccomend. Kitchen was well stocked with everything you could need. Very Clean. We had a fantastic weekend thanks to Ski Haven. The location is ideal and the home is perfect. Jay was extremely responsive and accommodating. We will definitely be back! Great location for Sundance. Home was very cozy and had everything we needed. 3 bedrooms on lowers level and one bedroom upstairs. Well appointed kitchen and cozy family area. We were 6 people and place was perfect.